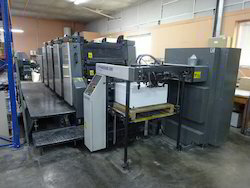 Offering you a complete choice of products which include used offset printing machine, imported offset printing machine, heidelberg offset printing machine and offset printing machine. 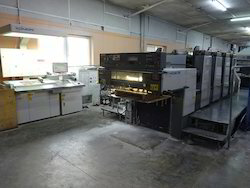 As used printing & binding machine dealer, we find, buy and sell used printing machinery and used offset printing machines from all over the world to India. 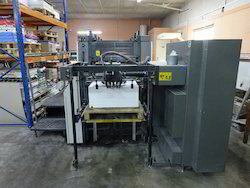 In our warehouses, we have all-inclusive stock of second hand offset printing machines and a complete range of post press and other print finishing equipments, these machines are showcased for customers to choose and buy. 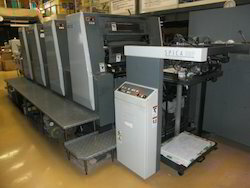 As responsible used printing machine importer we are determined to supply the perfect pre-owned printing machine suitable for you. 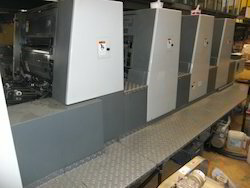 If you want to know more about our wide inventory of Heidelberg, Komori, Mitsubishi, Planeta, Polygraph,color metal ,miller,sakurai oliver, hamada, e.t.c., please call us, we are always ready to oblige. 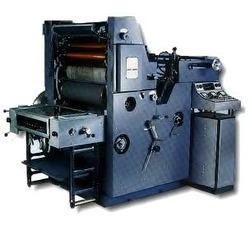 Looking for Offset Printing Machine in Kerala,Coimbatore,Chennai ?